Talang Вулкан-извержения: Small explosive eruptions. The largest of these is 1 x 2 km wide Danau Talang. 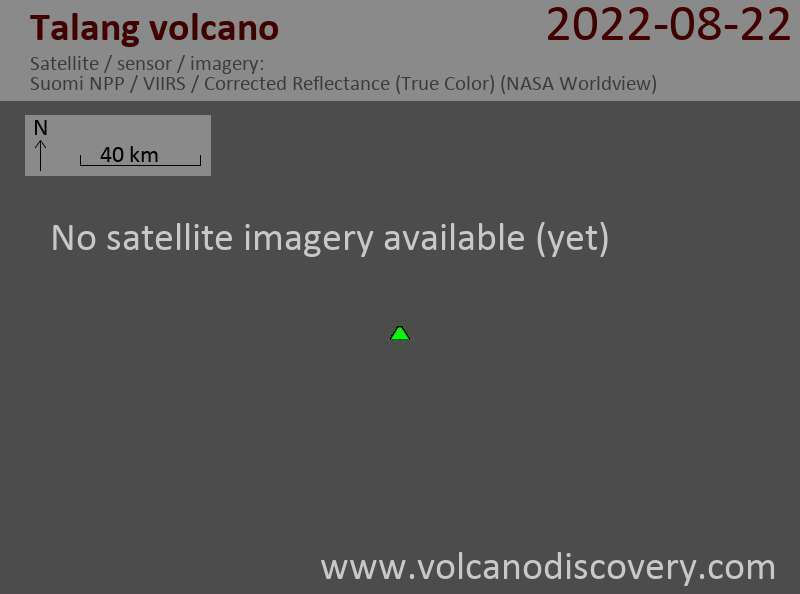 No historical eruptions have occurred from the summit of the volcano, which lacks a crater. All historical eruptions from Gunung Talang volcano have involved small-to-moderate 19th-century explosive activity originating from a series of small craters in a valley on the upper NE flank.